It was amazing, a new and lovely experiment.It was really personal and it was a true pleasure to cook all those tasty meals. A huge thanks to Yoshiko for that, and for our really friendly meeting and discussion. Really good! 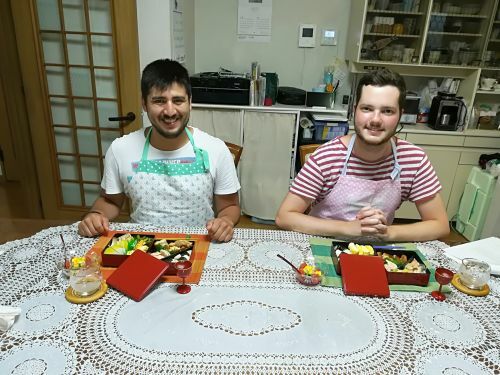 I had a great time discovering Japan food and ingredients with the help of the brightful Yoshiko. She was so patient and kind with us, it was greatly appreciated . Thanks a lot Yoshiko san !